As it turned out, it was the perfection marriage of a cost-cutting team intent on rebuilding and one serious about contending as quickly as possible. Check your compasses for the 2019 season. The Seattle Mariners are apparently heading south in the AL West. The New York Mets want to go north in the NL East. In his first major move as general manager of the Mets, Brodie Van Vagenen, former agent for MLB stars like Robinson Cano, dealt three highly touted Minor Leaguers, veteran outfielder Jay Bruce and middle reliever Anthony Swarzak to the Mariners for ace reliever Edwin Diaz, a ton of cash – and, coincidently, Cano. Not only was this the first major deal on the Hot Stove, unless you’re floored by catcher Yon Gomes going from Cleveland to Washington, this might also be the most complicated transaction you’ll see in a long time. 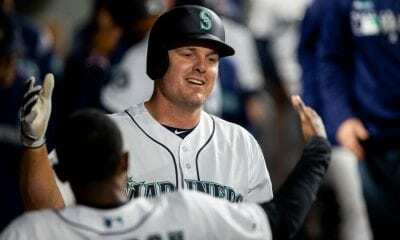 Let’s begin from the perspective of the Mariners: Seattle was 89-73 in 2018, good enough for third place in the AL West, 14 games behind the Houston Astros, who won 103 games. The Mariners have not been to the postseason since 2001, when they won 116 games, but lost to the New York Yankees in five games in the ALCS. Intent on trimming a $137 million payroll, GM Jerry DiPoto and Van Vagenen engineered a deal that will relieve the financial burden, infuse Seattle with young talent and provide the Mets a 36-year-old, eight-time All-Star second baseman and perhaps the most elite young closer in the game. In terms of Bruce and Swarzak, the Mariners are not getting a lot. Bruce played in just 94 games last season and once went 116 at-bats without a homer. Swarzak had a 6.15 ERA. 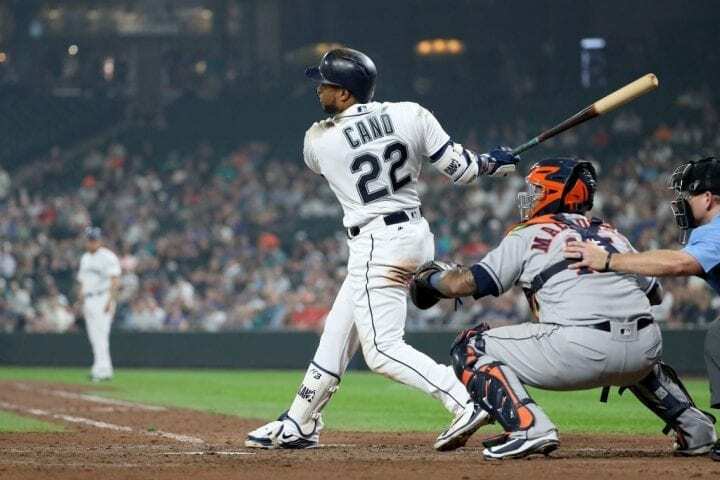 Just as important, the Mets are also getting $20 million to help defray the last five years of a 10-year, $240 million deal Cano signed with Seattle in 2013 after leaving the Yankees as a free agent. That deal was negotiated by Van Wagenen in a unique joint project with CAA and Roc Nation Sports. When he became a GM, VanWagenen naturally had to leave CAA. Along with Bruce and Swarzak, who both spent a lot of time on the disabled list, the Mariners are getting pitcher Justin Dunn, the Mets’ 2016 first-round pick, outfielder Jarred Kelenic, the sixth-overall pick in the 2018 draft and reliever Gerson Bautista, who has been clocked at 101 mph. Kelenick is 19, years away from the Majors. Dunn is projected a No. 3 or 4 starter. Bautista, who the Mets got from the Red Sox in the Addison Reed deal in 2017, lacks command. Here’s an easy way to look at it: The Mariners took Bruce (owed $28 million) and Swarsak ($8.5) off the hands of the Mets. The Mets took Cano off the back of the Mariners. No harm, no foul. The important part is the dealing of three young prospects for Diaz. Now about the Mets: Since playing in the 2015 World Series, they have finished fourth in the NL East the last two seasons. They started last season 10-1 and ended it 77-85 after winning just five games in June. They have a Cy Young starter, Jacon deGrom, who won only 10 games in 2018 because the Mets either didn’t score when he was pitching or couldn’t sew up leads after he left. Diaz, who is just 24, saved 57 games last season with a 1.96 ERA and 124 strikeouts in 73 1/3 innings. 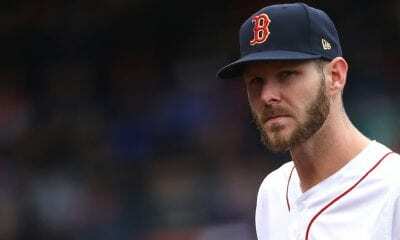 That wrapped up the AL’s Mariano Rivera reliever of the year award. How solid was he? Seattle was 66-0 and Diaz came in with the lead. He and Eric Gagne are the only relievers in history to have more than 50 saves and 100 strikeouts in the same season. Just as important, the Mets have him under control through 2022 before he can become a free agent. The acquisition of Cano is a risk-reward proposition. 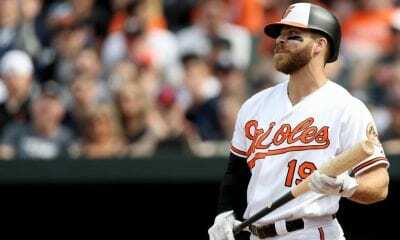 He served an 80-game suspension in 2018 for violating MLB’s drug policy. When he returned, he hit .310 with 10 home runs and 50 RBIs in 80 games. The Mets will immediately plug him into the 2 or 3 hole and pray for the reward. Of course, Cano will be 40 by the time the deal is done. How many hitters slug at that age? Not only that, his defensive skills have diminished so that Seattle used a lot of Dee Gordon at second, shifting Cano to designated hitter. There is no DH in the NL to hide Cano if he becomes too much of a defensive liability. And moving him to first may not be possible if another of the Mets top prospects, Peter Alonso, takes to the position as well as they hope. What will this cost the Mets? With the $20 million from Seattle, it figures to about $12.7 million a year through 2023. It’s actually less, even when you throw in Diaz’s money (he is arbitration eligible after making $570,800 in 2018), then the Mets would have paid Bruce and Swarzak in 2019. So the Mets are willing to take the risk. It’s only 10 weeks to pitchers and catchers. Light the hot stove. Should Hall Voters Finally Make The Call To Include Clemens, Bonds?